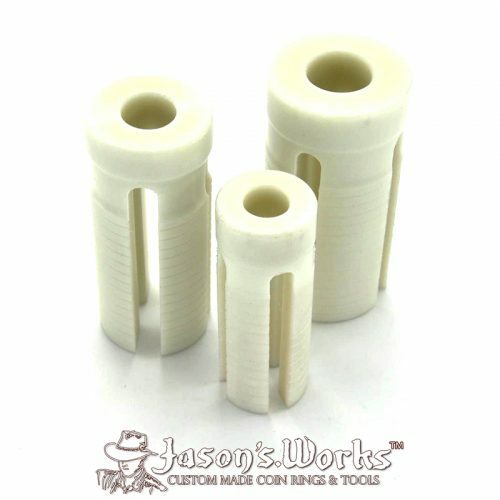 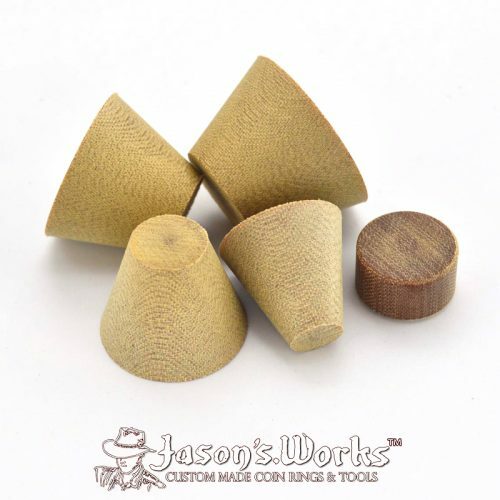 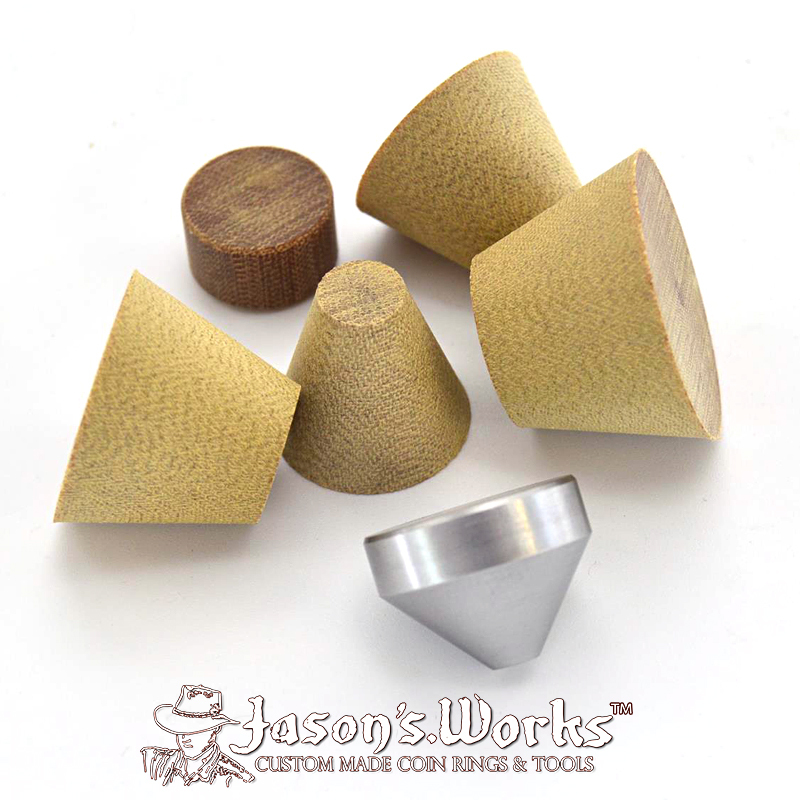 This is a complete folding cones set: Hardened Stainless steel starter cone, spacer and 4 different sized folding cones! 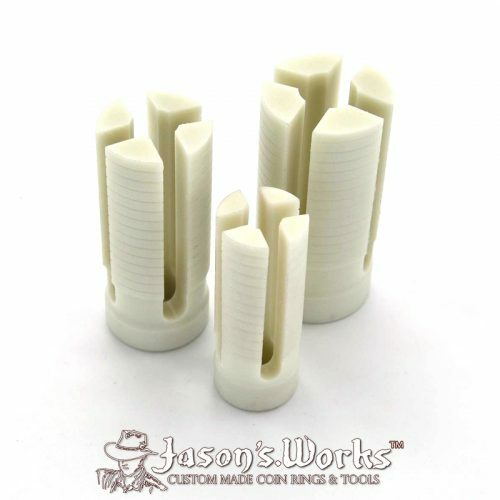 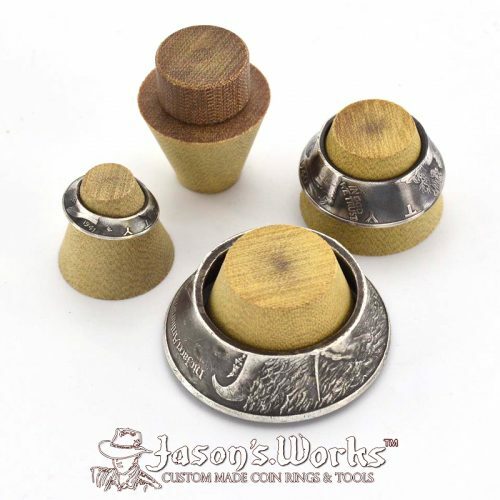 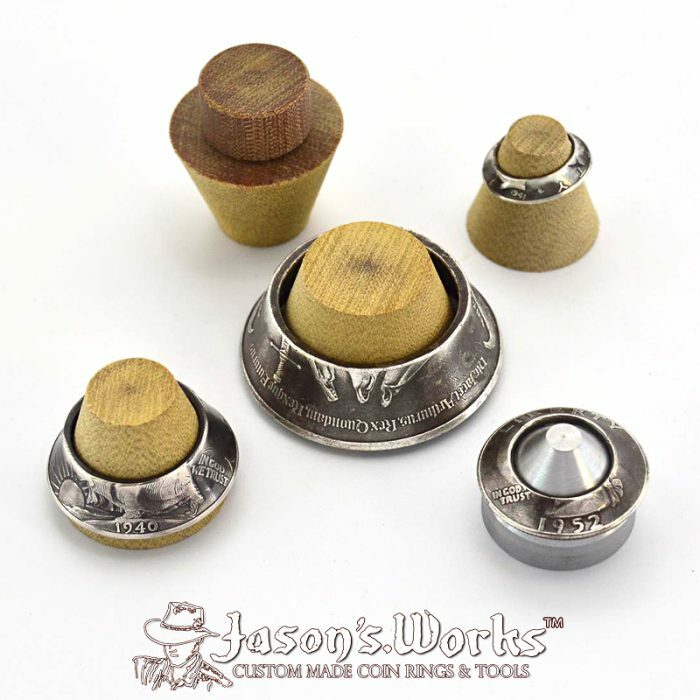 Protect your stabilizer folding cones, mandrels, and be able to fold the harder alloyed coins such as nickels and brass medallions without damaging your folding tools or removing deetail from the inside of your coin if using a steel cone. 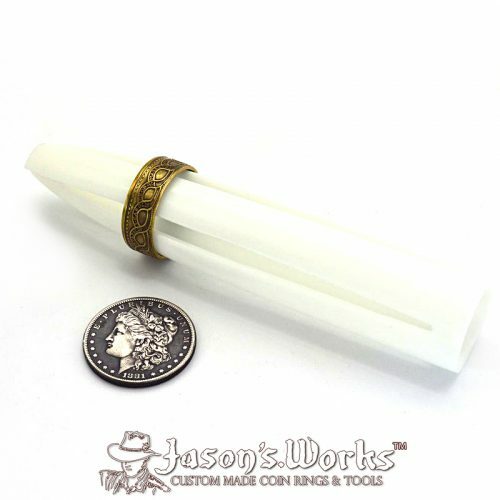 No need to wast time wrapping in pipe tae either. 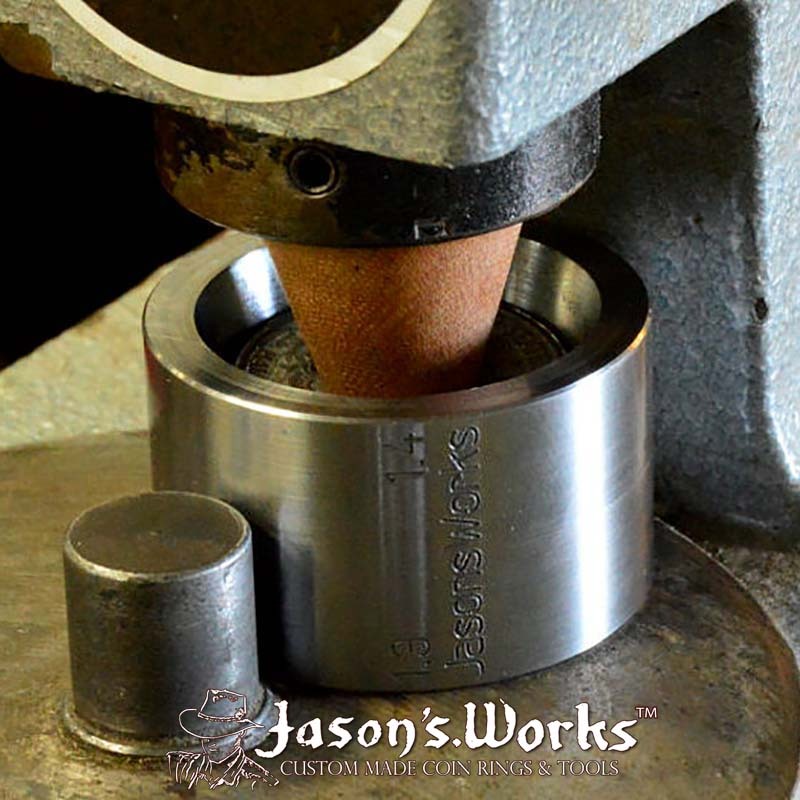 Use the steel starter cone for your first press to start the folding process. 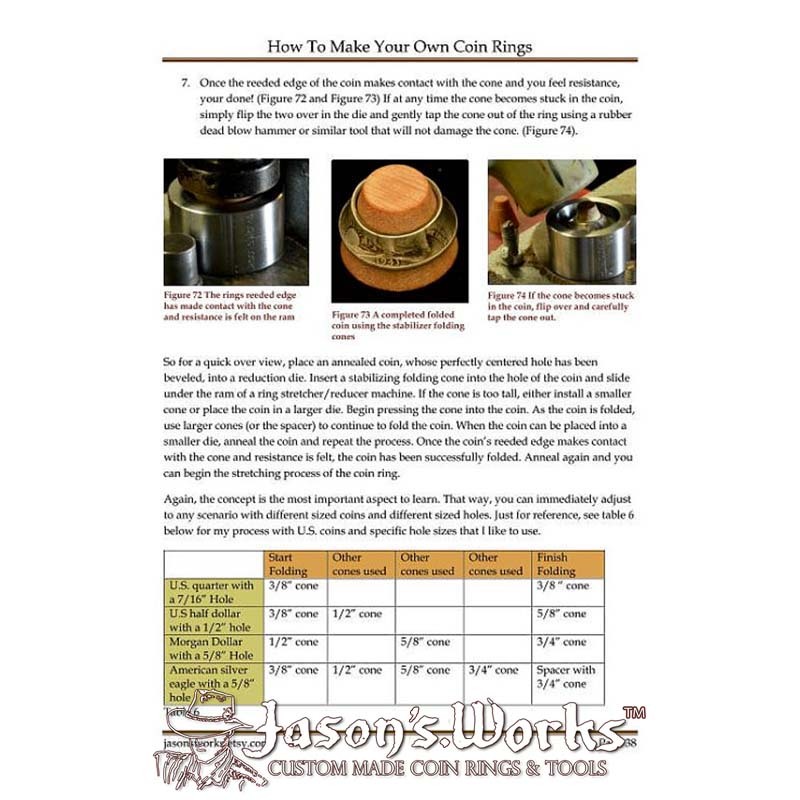 The first press has the most impact on your folding tools. 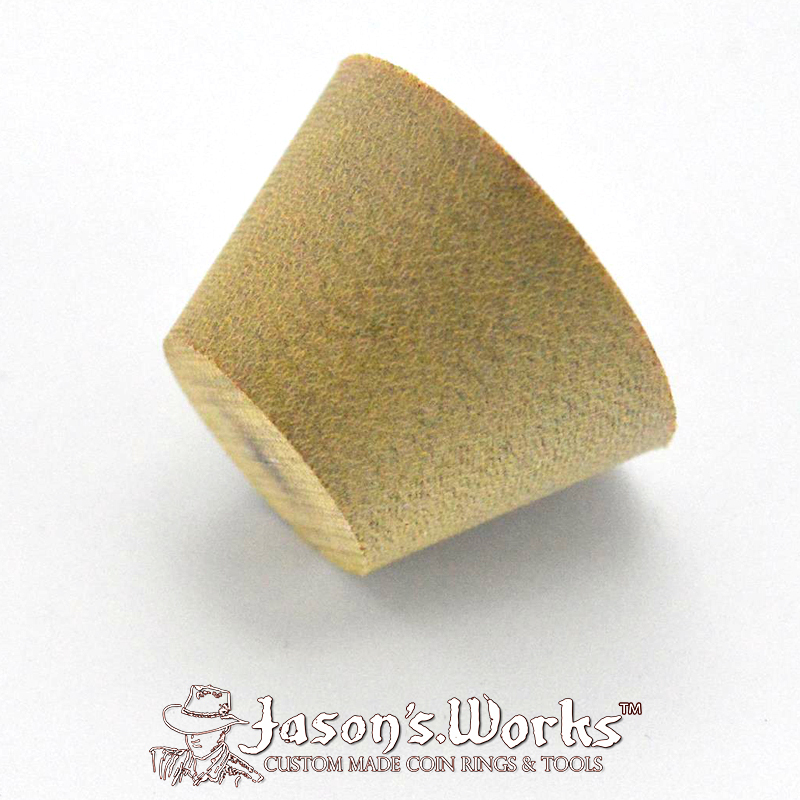 This specialized cone will take the brunt of that first press without damaging the detail of the coin. 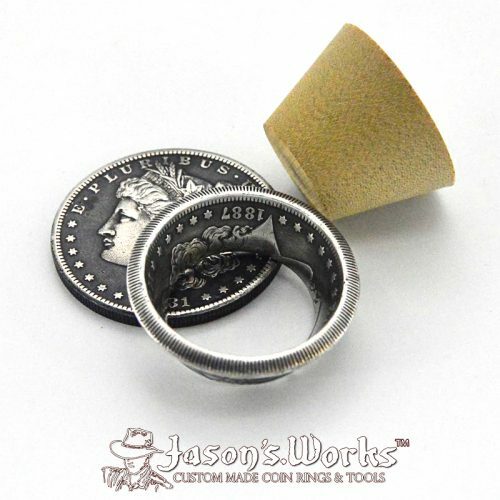 Be sure not to press too far (until you feel resistance) as you only want to begin the folding process with this cone and then finish with the specialized stabilizer folding cone or mandrels to protect the detail of the coin. (The stabilizer cones and mandrels are recommended for folding as it does not harm the detail as as teel folding tool would. Don’t forget to bevel the holes edge and anneal often when folding to keep from splitting your ring! 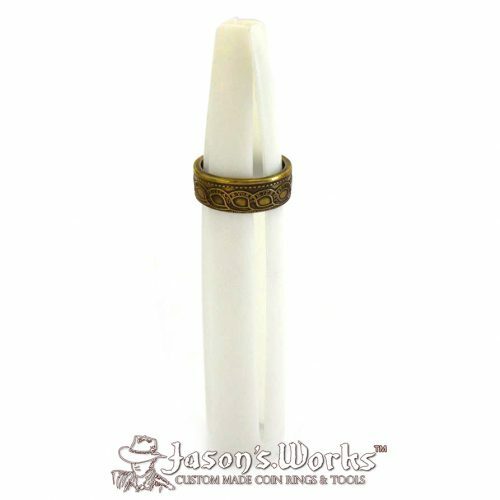 PRO TIP: Lubricate the folding cones with Burr life (RioGrande.com) or Ivory soap to keep the rings from sticking t the cones when folding. 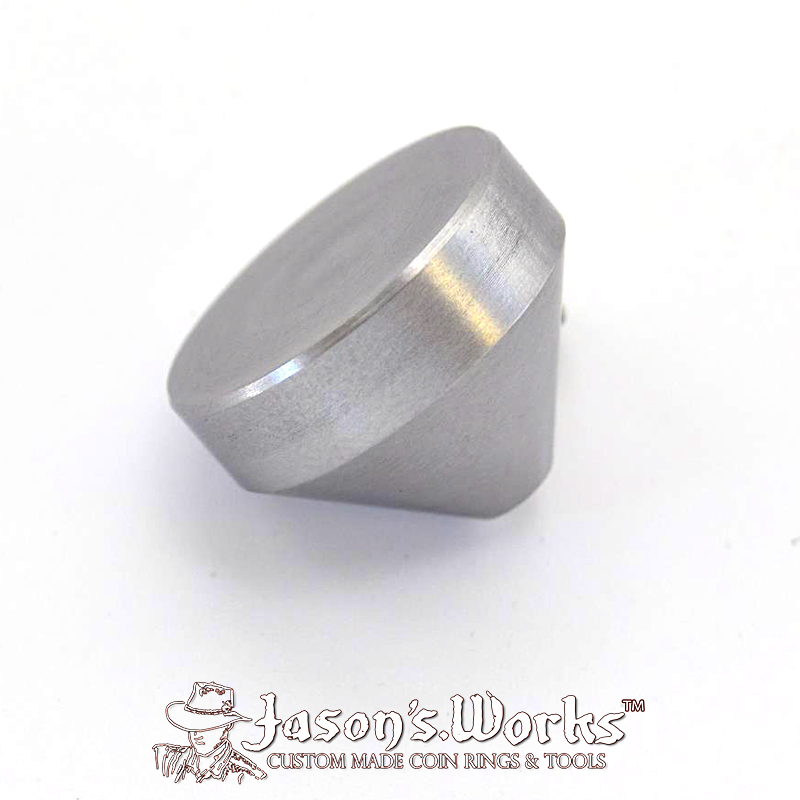 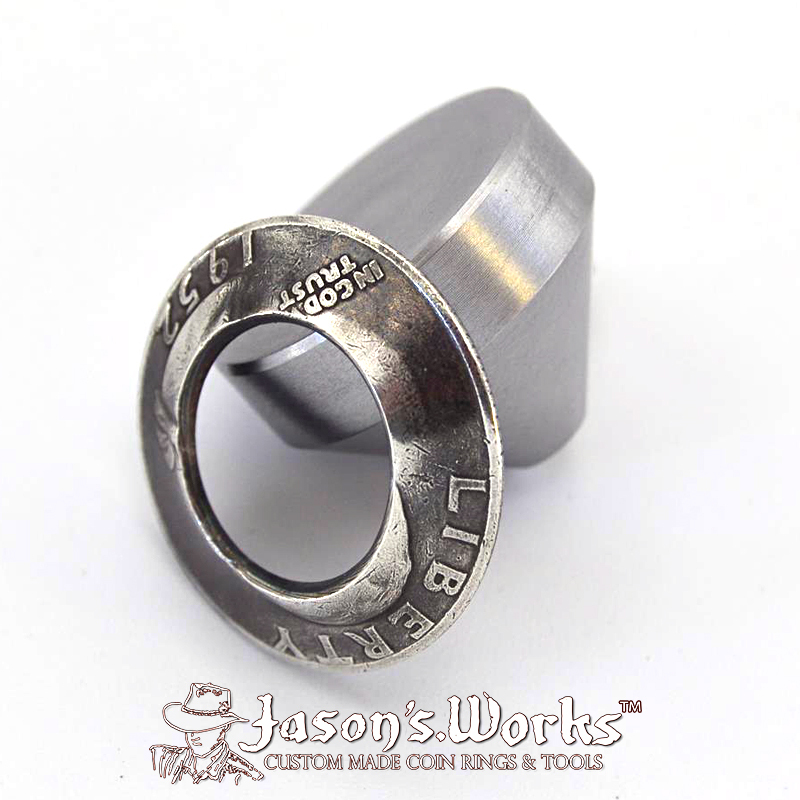 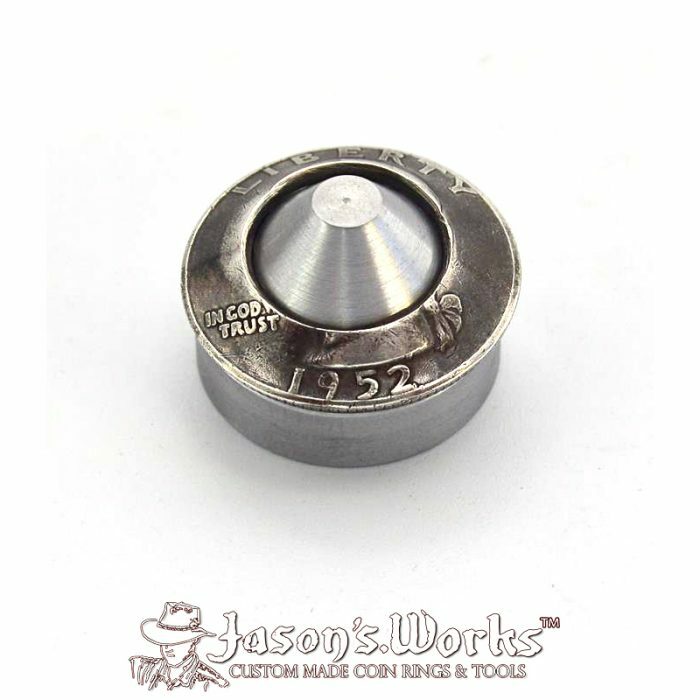 This stainless steel starter cone is designed to begin folding coins with holes ranging from 1/4″ to 5/8″ +. By starting the fold, the stabilizer folding cones and delrin balls are not subjected to the sharp edge of the hole in the coin therefore reducing wear on he folding cones, mandrels and balls. *NOTE: NICKELS AND OTHER HARD ALLOYED COINS (BRASS IS O.K.) 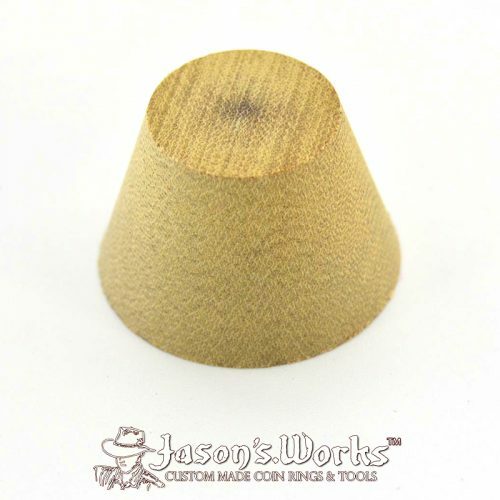 SHOULD BE STARTED WITH THIS STEEL CONE AND THEN FINISH THE FOLDING PROCESS WITH THE STABILIZER CONES OR MANDREL.